JANAF Plc., headquartered in Zagreb, Croatia, is managing an oil pipeline system, as a modern, efficacious and cost-efficient crude oil transportation system for both local and foreign users. JANAF has adopted, thanks to the integrator Tehnozavod Marusic k.d., a project for video-monitoring a pipeline stretching from Serbian border to the Adriatic sea. Tehnozavod has designed and implemented an IP-based system, teaming up with Videotec. 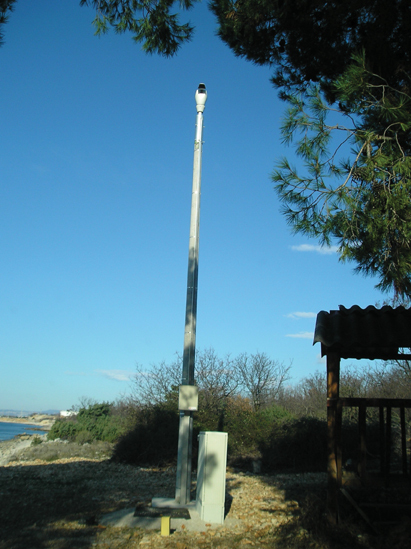 The first trance of 5 was realized on Adriatic sea and it is comprehensive of 100 fixed IP cameras installed into Videotec HOV camera housings, of Videotec IR300 infrared illuminators and of 14 Videotec Ulisse positioning units, with built-in Sony block camera, remotely controlled by video servers. Some of the problems encountered from Tehnozavod, designing the system, is the environmental heat during summer time and the famous local wind Bora, which once was measured over 200 kilometers per hour. The problems has been brilliantly solved with Videotec HOV housings: thanks to its very efficient cooling system it reduces the internal enclosure temperature. On the other hand, Ulisse positioning unit withstands statically 200km/h wind and remains operational in 160km/h wind conditions, so Bora is not a problem.